Right now we are waiting for new Fred CUMING Art to arrive at the gallery. In the meantime, here is a selection of the artist's archived art work which has featured at Red Rag Art Gallery. If you wish to register to receive updates and alerts when new art work from Fred CUMING arrives select this link. Fred was elected a Royal Academician in 1974. He has also been a member of the New English Art Club since 1960 and is the recipient of many art awards including: the Grand Prix Fine Art (1977); the Royal Academys House & Garden Award and the Sir Brinsley Ford Prize (New English Art Club, 1986). Fred Cuming paintings offer a moment for reflection. Cuming creates a relationship with nature and light - inducing observers to appreciate the calming atmosphere and realisation of the beauty around us. 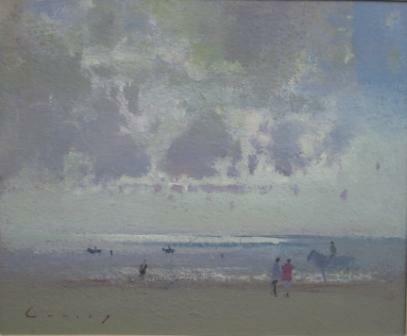 Many of his paintings feature the counties of Kent and Sussex where the Fred Cuming artist studio is located. 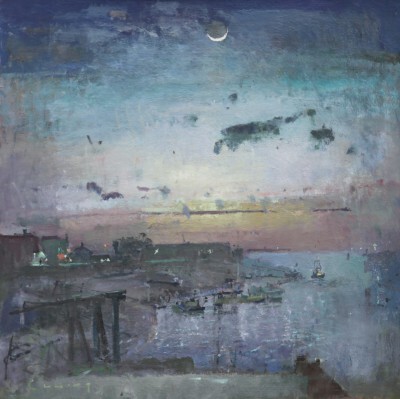 In addition to Red Rag British Art Gallery Fred Cuming has exhibited at other leading British Art Galleries. In 2001 Cuming was the featured artist at the Royal Academy Summer Exhibition with an entire gallery dedicated to his art work.In 2004 he was awarded an honourary doctorate from the University of Kent.Like all Red Rag British art and Contemporary art Fred Cuming purchases can be shipped worldwide.